A native Washingtonian, Judy Granlee-Gates has lived in Poulsbo for nearly 30 years. She and her husband own Joe Gates Construction, Inc. in Poulsbo, specializing in custom building and remodeling. The company is also an authorized StarMark cabinet dealer. Judy has been in the construction industry for 28 years and enjoys seeing a home go from ho-hum to fantastic. 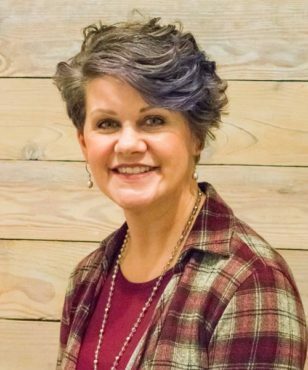 She has been recognized nationally by Custom Home magazine for outstanding customer service, and on the state and local level for the company's new home construction and remodeling excellence. She is a past president of the Kitsap Building Association's Remodelers Council and past board member of the Kitsap Building Association. Blog Post: Home Theatres — Is There One in Your Future? Blog Post: Downsizing, Part 1 — Downsize Your Home — Upgrade Your Life! Blog Post: Builder/Remodeler or Architect… Which Comes First? Blog Post: Bathroom in a Day: Can it really be true? Blog Post: Do You Need a Building Permit? You Might be Surprised!